Hi my name`s Natalie Swedosh and I am absolutely thrilled to be here to facilitate this amazing teaching of Drunvalo Melchizedek - Awakening The illuminated Heart. 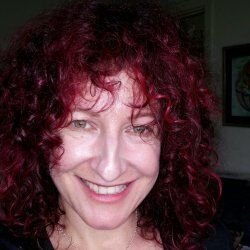 It`s a great passion for me to assist others on their own unique journey and to share different ways of experiencing connection, inner peace and joy. I have been working as a healer and teacher in the healing field for over 28 years and I still get such immense pleasure seeing how my clients "light up" after they`ve received Reiki and Lomi Lomi massage - it makes my heart sing! I have spent much of my lifetime exploring the great traditions of spirituality, healing and esoteric sciences, and these jewels have been an enduring resource over time. I feel blessed to have experienced so many transformational awakenings in my life and I consider this most recent teaching of Awakening The illuminated Heart to have been incredibly significant in my growth as a loving empowered human being - it has truly been an awakening that`s had such an incredibly rich and rewarding impact on my life in every aspect of it. As I sit writing my biography and reflecting on this journey, I am filled with absolute joy to have this opportunity of teaching this beautiful work to others. It would be an honor and a privilege for me to have you attend one of our Workshops and for you to experience firsthand what will open up for you after attending an Awakening The illuminated Heart workshop. Please feel free to contact me and/or Register for one of my events - I am sure the experience you will have of Awakening your illuminated Heart will transform your life as it did mine! Natalie is an extremely humble, intuitive and gifted facilitator. She is one of those rare people who is able to hold the space for a group and ensure that each individual hears what it is that they need to hear in order to find their own understanding and move themselves forward. Follow your heart to one of her trainings. I have been to a lot of workshops, and have experienced many teachers, I found Natalie to be the most professional, confident, authentic teacher yet. She met everyone's needs in an insightful, caring way and for a young woman she has a lot of wisdom. The content was beautifully shared and full of special moments. The course was truly beautiful and has definitely had a very positive and life changing effect on me personally. The course tutor Natalie Swedosh really is an amazing person whom is a great addition to the Drunvalo teachings. Natalie taught the course with pure love and a great understanding of our group dynamics. I would highly recommend her to anyone drawn to attend Awakening The Illuminated Heart!!! I would highly recommend this workshop to anyone wanting to connect more fully into their heart space. Natalie brought many of her 'gifts' and wisdom into the space, delivering the material in an easy-to-understand format and was very supportive towards her students. Natalie has that remarkable ability to combine nurturance and strength side by side in her facilitation of ATIH. Her authenticity was so welcome as we journeyed together over those four days.